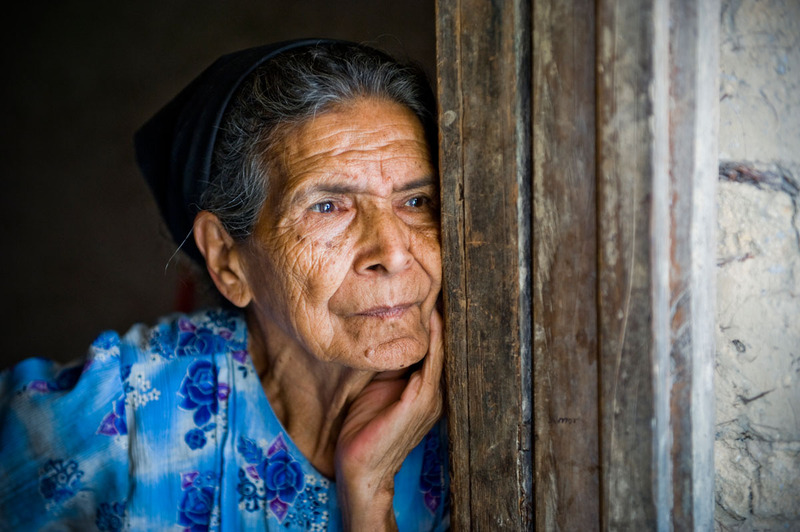 Habitat for Humanity Honduras helped to renovate the floors of 82 year-old Catalina Ortiz's house. Most of the Chortí indigenous families of Western Honduras live in extreme poverty. Their subsistence economy keeps them from accessing credit sources, and thus from improving their houses. Their lack of resources forces them to resort to low-quality building materials, meaning that families live in substandard, overcrowded, unhealthy conditions. They are exposed to dust and extreme humidity, and the mud walls of their houses provide ideal living conditions for chinche picuda bugs, which cause Chagas Disease. Habitat for Humanity Honduras is helping to replace the Chorti’s thatched roofs with metal sheeting, to renovate and plaster crumbling walls, and to install concrete floors. With the financial support of the Gaston County Habitat affiliate in North Carolina, 113 houses have been improved, and eight new houses have been built in the villages of Carrizalón, Agua Caliente, Otuta and La Pintada. 847 people have benefited from these projects.